Steven Gossington, author of Fractured Eden, chatted with us about his recently released debut novel. 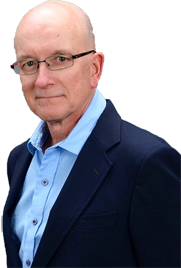 Dr. Gossington, a practicing emergency room doctor, brings his years of knowledge and experience into the complicated thriller. A doctor starting over in a new town. The town filled with dangerous, deranged residents. One of those residents is a serial killer who has his eye on the doctor for his next victim. Sounds like an intense story, doesn’t it? Dr. Gossington is currently on tour with Fractured Eden, hosted by Partners In Crime Virtual Book Tours. You can view the tour schedule there. Stop in to learn more about the author and his suspenseful mystery! – I learned that I enjoyed the challenge of writing when I was an academic professor and wrote medical book chapters and journal articles. Since that time, I’m always thinking about writing when I’m not otherwise occupied with my full-time job. Is it a form of relaxation after a day at the emergency room? – Absolutely, writing provides a form of escape for me from the stresses of daily work. – Most people have at least some spare or leisure time. I choose to engage in some aspect of writing in any spare time I can muster. Do you have a routine schedule when you write, or with your schedule as a physician, do you just write when you are able? – I write when I have a few unclaimed moments here and there, especially early in the morning before work and on my days off work. Did you know where the story would go before you started writing? – No, I started with the doctor getting into a world of trouble, then I dreamed up some characters to interact with the doctor. The plot flowed from the characters and their obstacles and goals in the story. What is the most difficult part of writing when you include psychology? – I would say converging my memories of mentally ill patients with portrayals of interesting, but believable, fictional characters. Are you an outliner or is your book more character driven? – I didn’t use an outline approach, although I may give it a try some day. I dreamed up characters and plot scenes and worked with the goals and purposes of the main characters until a story arc evolved. How long did your first novel take to complete? – I’ve written several (unpublished) novels in the past. It took me about two years to write and revise my first published novel. Is Fractured Eden perhaps the beginning of a series? – That’s possible, as I like the main characters, and there are some plot lines that could lead to other stories. I’m currently revising a medical murder mystery novel, which I think will more easily lend itself to a series. Will there at least be a book two? – I plan to work on that. The medical knowledge you bring to your novel adds to the story, both for the medical side and the mental side. Can you share how the paranormal became a part of it as well? – In medicine, I’ve always been intrigued with miraculous cures and also with what happens to us right at the time of death. Some of my characters acquired angelic or demonic properties as I wrote about them, and paranormal behavior emerged from a few of the mentally ill delusional characters as the story developed. Paranormal qualities of the characters and setting appeared as I wrote the novel. 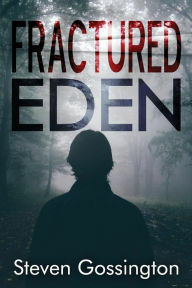 With your success with Fractured Eden, do you plan to continue with suspense thrillers or if you are leaning a different direction? – I like the suspense genre, and now I’m working with murder mysteries, and even a medical historical novel which has elements of suspense. – I’ve read almost all 80 or so of Agatha Christie’s books. When I read a Christie novel, I feel connected to my (RIP) mother, who introduced me to those great mysteries when I was a teenager. One of my favorite suspense novels is “The Bone Garden” by Tess Gerritsen. – “To Kill a Mockingbird” by Harper Lee – I like to read and reread classic novels to try to improve my own writing. Is there a specific message you would like readers to receive within your book? A lesson perhaps? – Even when mired in the depths of despair or confronted with imminent peril, you can always find a spark of hope or a kernel of courage from deep within yourself. Looking forward to reading your novel as soon as possible. Thank you for your time, Dr. Gossington. Dr. Aaron Rovsing, Family Practice Physician, is charged with incompetence and fired from his medical practice in Connecticut. After he flees and starts over in a town in East Texas, he discovers that things are not as they first appear, and soon Aaron must combat the deranged and addicted minds of the townspeople. But things take a deadly turn when he finds himself the next chosen victim of a serial killer who plans to add the doctor to his collection of skeletons. In this town of insanity and with a serial killer waiting to strike, how can Aaron manage to stay sane . . . and alive? As his mind wandered to his recent divorce, he shut his eyes and shook his head. Aaron sighed and gazed at his blue eyes in the mirror. I don’t remember what her eyes were like. He dried his sleeping bag with a towel and stretched out over it, and stared at the ceiling until sunrise. After a savory, spicy barbecue dinner at a restaurant not far away, Aaron busied himself with opening boxes and arranging his closet. On his bedroom wall, he hung a framed painting, which featured a dirt footpath winding through the forest. Shoe prints and footprints were imprinted in the dirt. Among the trees at the far end of the path were hazy figures that appeared to be watching. Aaron positioned the painting so he could see it from his bed. “medical murder mystery novel” – I like the sound of that. And glad that he is working on book 2! I really liked this one. I love Medical dramas and medical mysteries – Robin Cook is one of my favorite authors. His books always seemed so real to me.